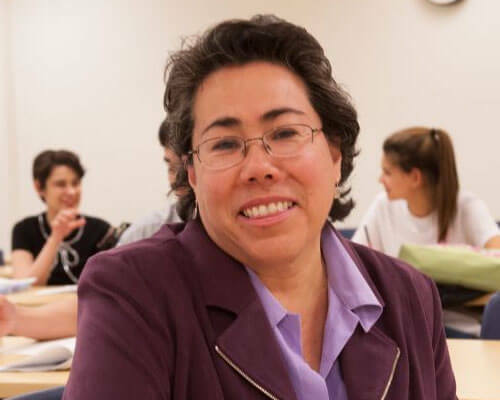 Home » Academics » Schools » College of Arts, Humanities and Social Sciences » Faculty » Sonia Garcia, Ph.D.
Sonia Garcia, Ph.D., was born and raised in Laredo, Texas. Her research focuses on Latina politics (candidates, public officials, and community activists), U.S. Latino civil rights, and Texas politics. In addition to a number of journal articles, she is a co-author of the textbook, Practicing Texas Politics (2012). She is also the co-author of the book, Mexican Americans & the Law (2004), and lead author of the book, Politicas: Latina Public Officials in Texas (2008). Her book, Politicas, was featured in the Texas Book Festival in Austin in 2008. Dr. Garcia has presented her research in various scholarly conferences, university campuses, and candidate training sessions. She is the recipient of the Distinguished Faculty Award, School of Humanities & Social Sciences (Spring 2009) and the Alice Franzke Feminist Award at St. Mary’s University (Spring 2008).